Good Morning! Today I have part 2 from yesterday's post. Yesterday, I die cut the Journey Circle from a post it note and stamped around the circle. 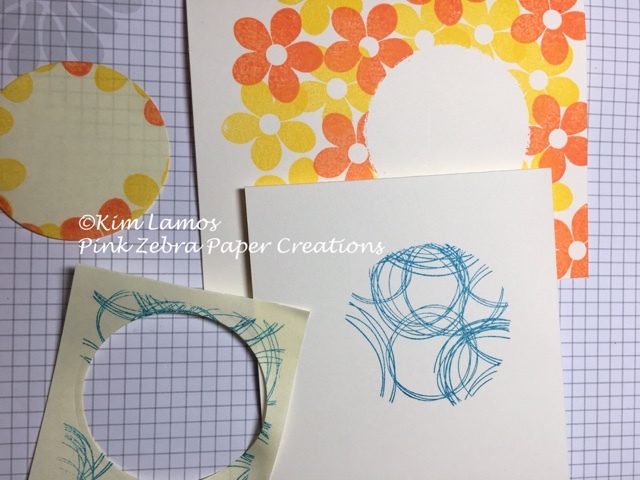 Today, I am taking the negative and stamping inside of the circle with Thread Sketch stamp with Beach Ball ink onto the Butter Cream cardstock. I then took a scrap of Butter Cream Cardstock and stamped the two flowers from Wonderful Day with Black Licorice Ink. I detail cut the flowers out and colored with colored pencils. I then added them to the left of the stamped circle using foam squares. I then stamped the sentiment from Howdy Notes in Grape Fusion ink. 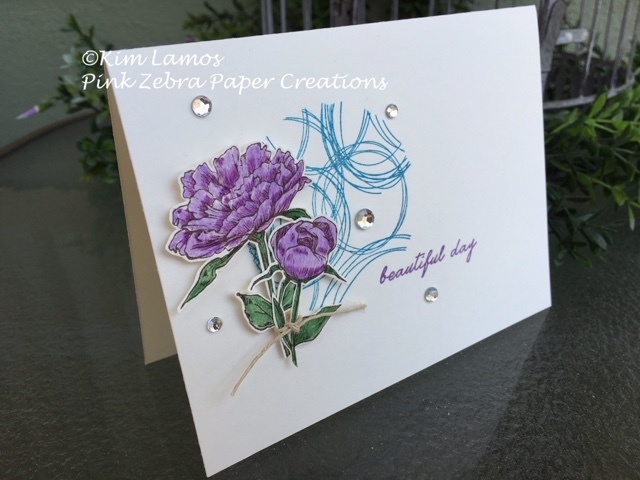 To finish the card, I added a piece of Natural Journey Twine to the bottom of the flowers and some rhinestones around the flowers. Enjoy!